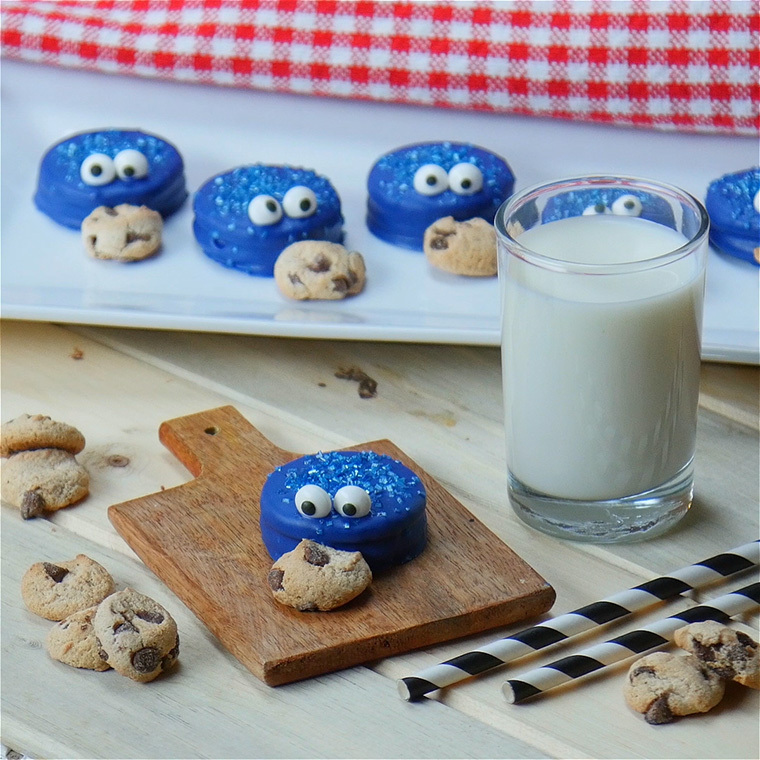 You’ll Love These Adorable (and Delicious!) 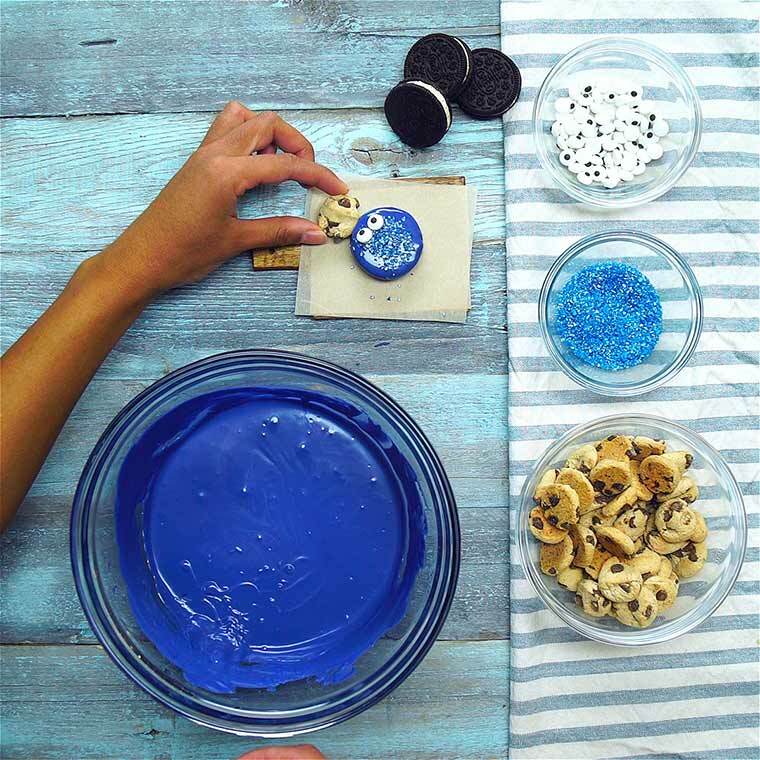 Cookie Monster Oreos for Your Next Party! Who doesn’t love Cookie Monster?! 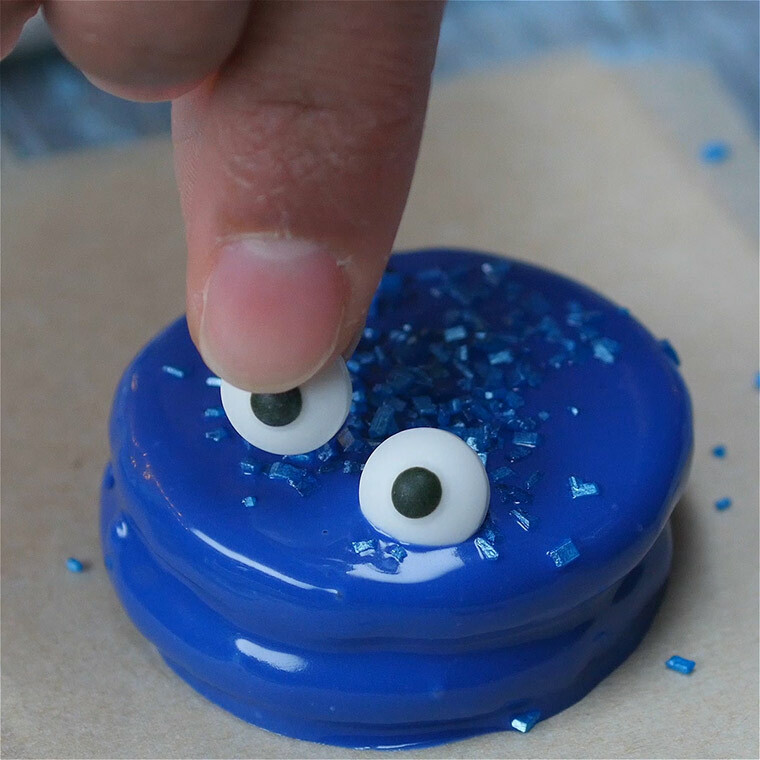 The goofy Sesame Street character is easy to bring to the next party you’ve gotta plan in real edible cookie form! 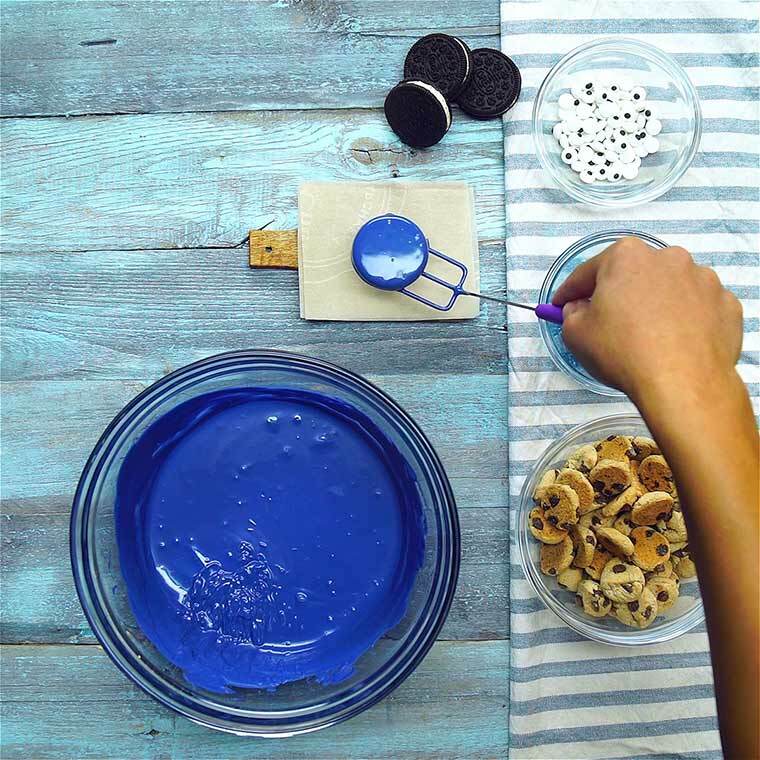 Your kids will LOVE helping or watching you make these Cookie Monster Oreos. All you need are some candy melts, sprinkles, and oodles and oodles of cookies! The finished product is almost too adorable to eat! 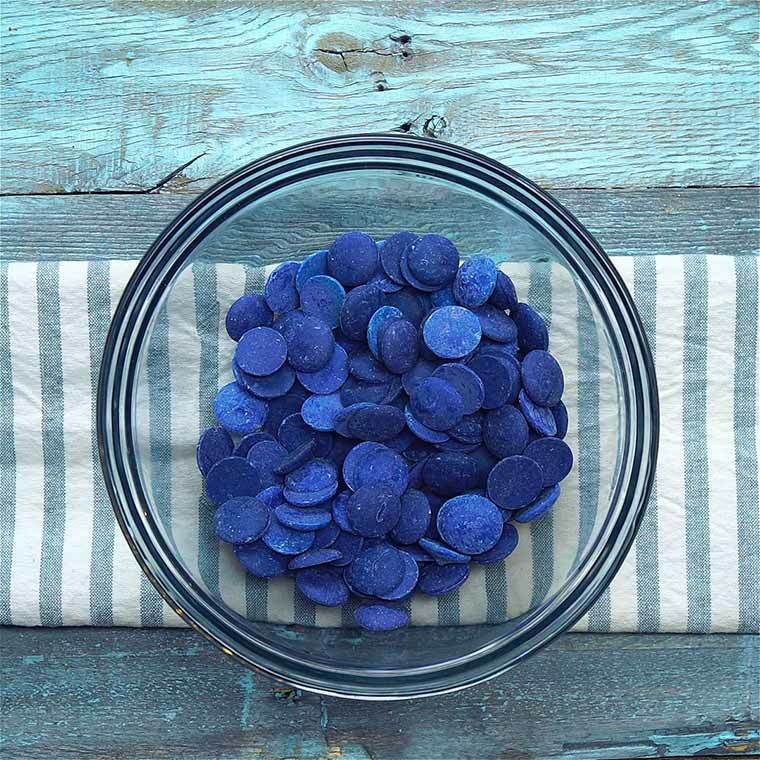 Place candy eyes and mini chocolate chip cookies into two small bowls. Place parchment paper over flat working surface. 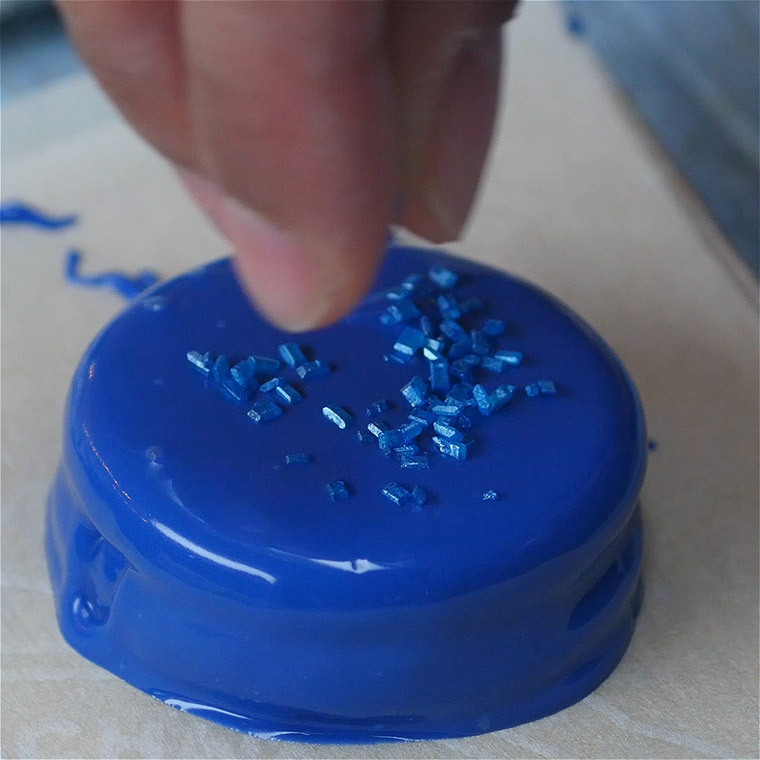 Melt candy melts in microwave in 30 second increments, stirring between until melted and smooth. Dip Oreo in melts and use a fork to lift out. Tap firmly against side of bowl to remove excess candy and slide along bowl edge as you remove it. Gently slide covered Oreo onto parchment paper. Immediately sprinkle with sugar, and carefully place eyes. 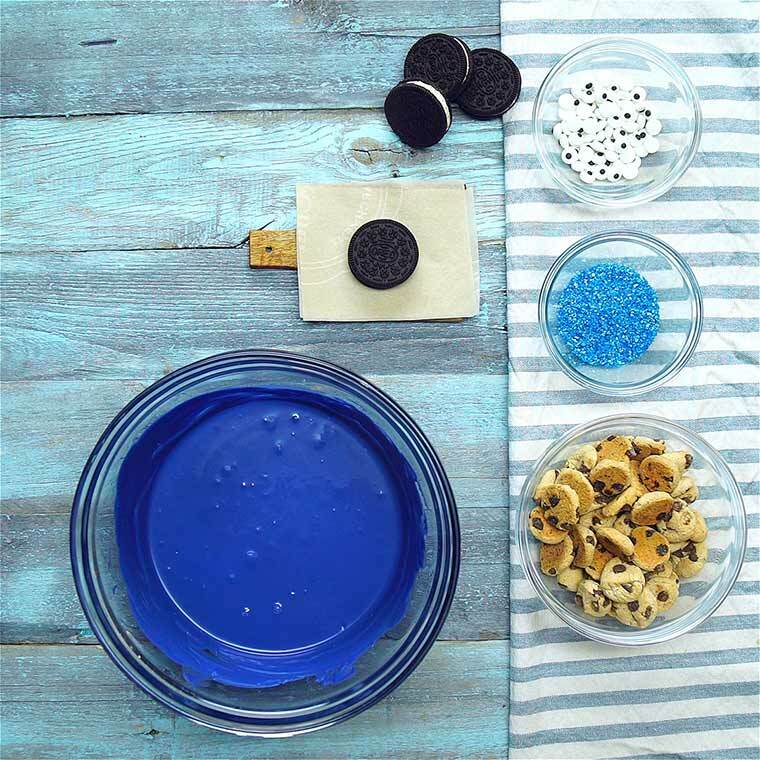 Place a mini chocolate chip cookie in each Oreo’s “mouth”. You may need to wait a little bit until the melts harden up a bit and get sticky. 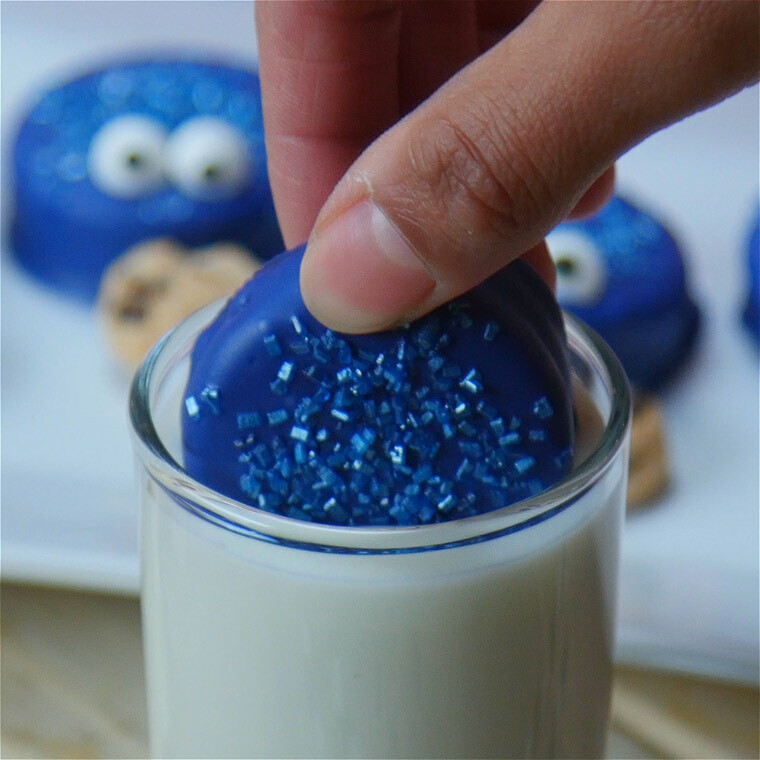 Allow little Cookie Monsters to harden and then enjoy!